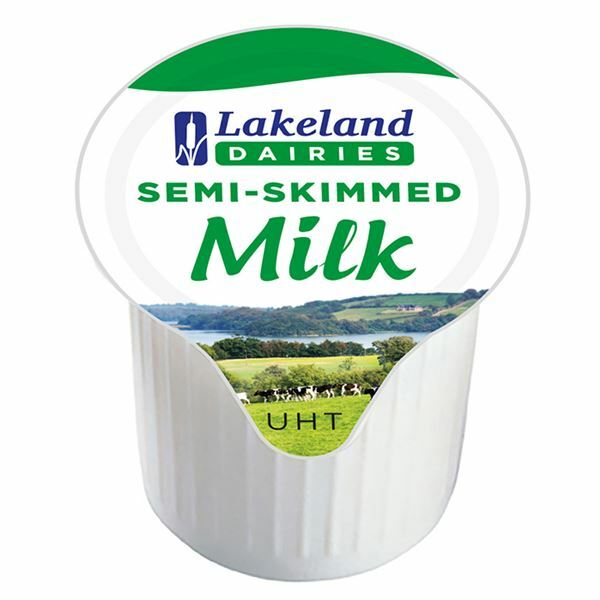 Lakeland Dairies UHT 12ml. semi skimmed milk portions. Tastes just like fresh milk but lasts longer without need for refrigeration. For guidance on food allergy or intolerance click here. If you need ingredients information for this product please contact us, our details are here. We regularly use this product which we find to be really good. However, we have deducted a point in the star rating on this otherwise excellent product because it would be even better if the shelf life could be just a little bit longer. Having said that, if you use a lot of UHT milks this does represent good value for money. Great value long life milk and they're ideal for our tea trays in the room. Never made a mess. They always seem to change the packaging slightly, though. Excellent for tack room coffees - no need to worry about having 'in date' milk!! Very good service!